A beautiful embellishment for your wedding decorations or special party decor, this bead garland has all kinds of uses that will look stunning on your big day. Made on wire, you can bend it around any way you like. It can be trimmed to size if you'd like to use just a cluster of beads as a little touch of sparkle. It's sure to look extra special! 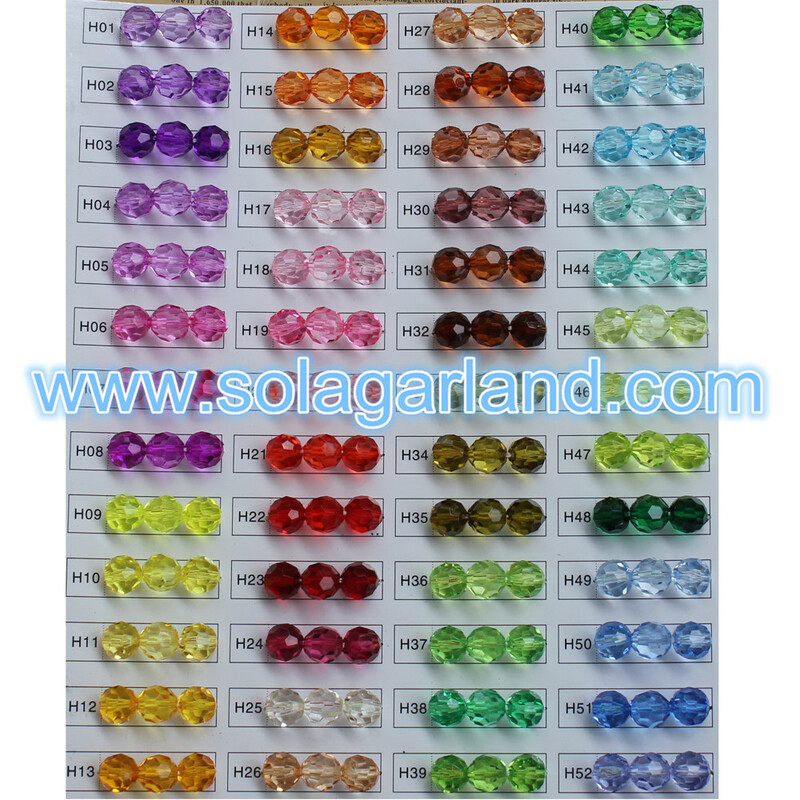 Now, we have about thousand sharps, size and colors for our beads. Popular sharp is smooth round beads, bicone crysal beads, Butterfly Beads, Heart Beads , Rose Flower Beads, cube Square Beads , Evil Eye Beads, Bone Skull Beads, zebra beads, Animal Beads, Rhinestone Beads, mirror beads, leave beads, waterdrip beads pendants and so on. It will be have a good idea to make the jewelry like necklacce, bracelet, earring and hairpin band ect. 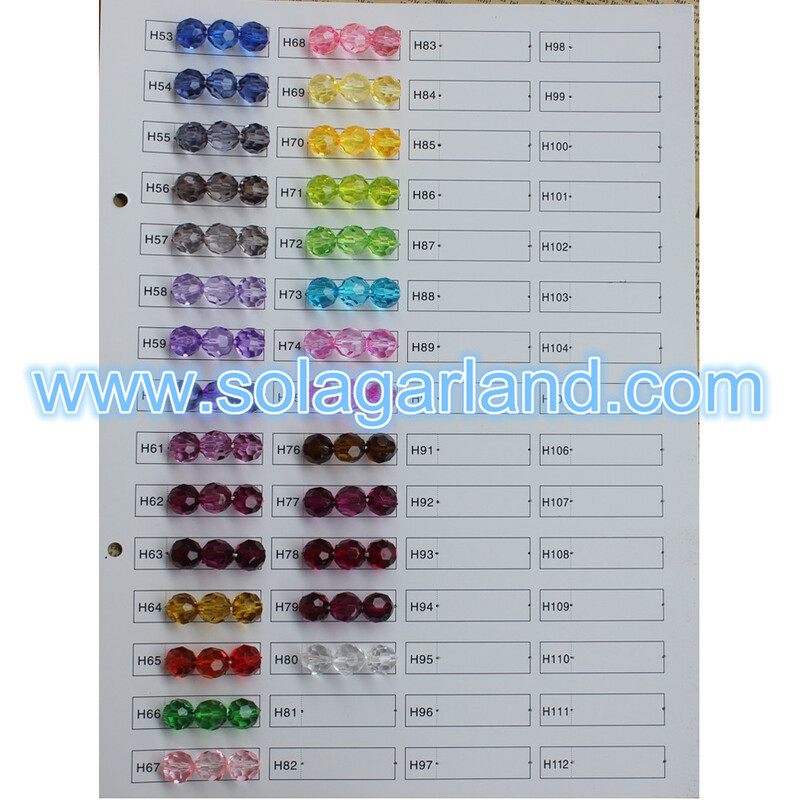 Also use it can have a nice design for your bead garland and curtain. 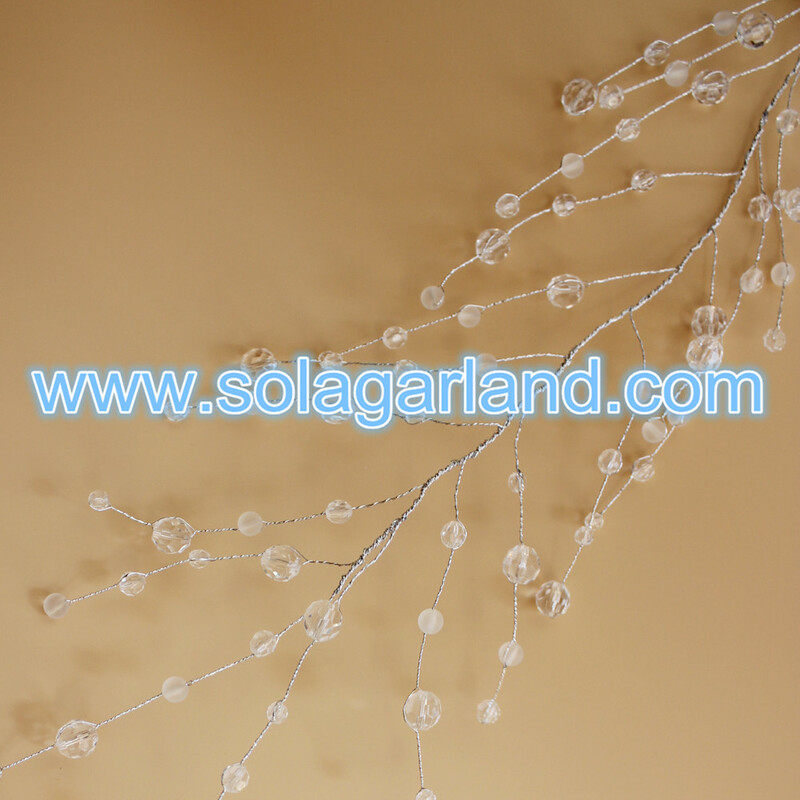 The sparking bead flowers garland curtain we make is very nice to use on Christmas tree, wedding tree, home decoration ect. Some is linked by the machine some is handmand by wire or metal ring. 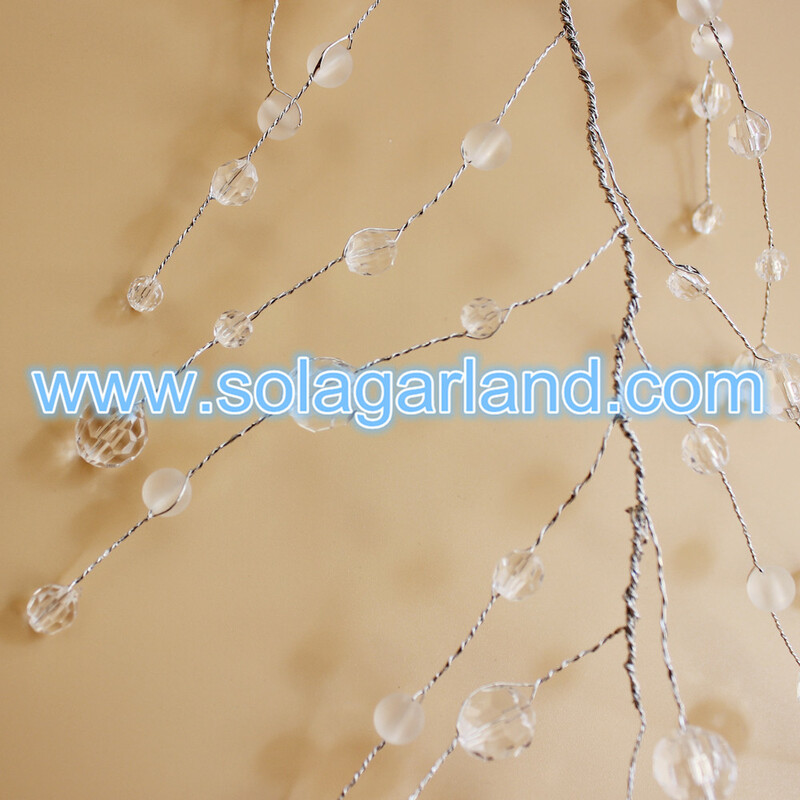 Looking for ideal Frost Bead Garland Wire Branch Manufacturer & supplier ? We have a wide selection at great prices to help you get creative. 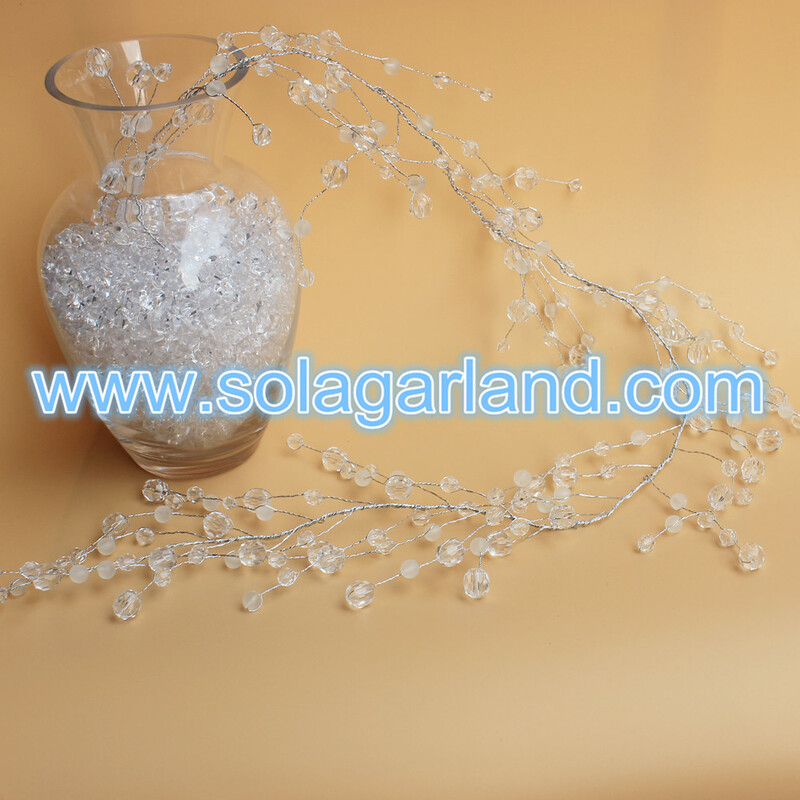 All the Faceted Round Crystal Beaded Garland are quality guaranteed. 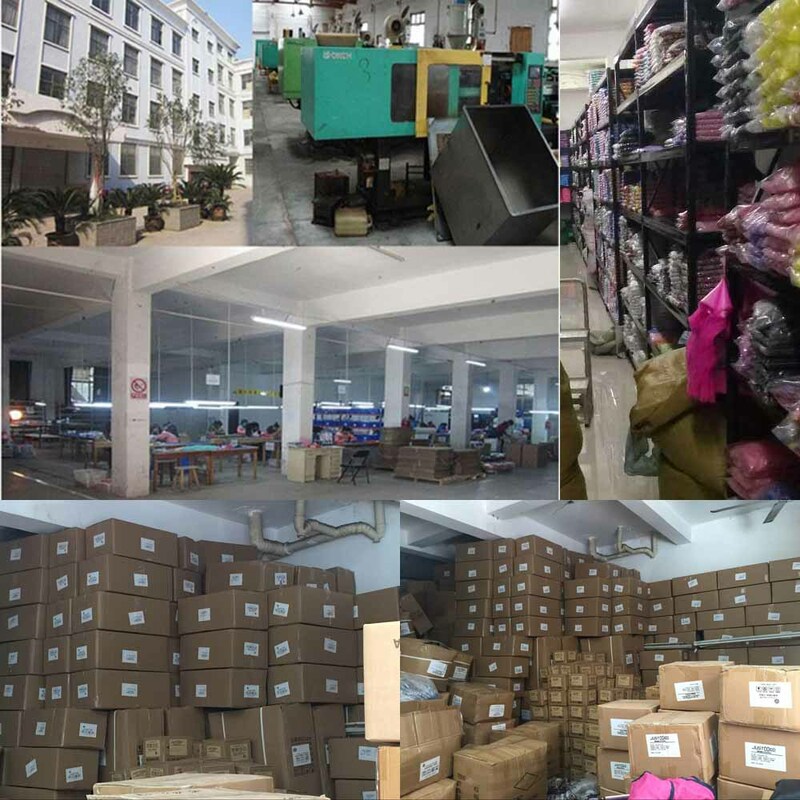 We are China Origin Factory of Crystal Beads With Silver Wire Trim. If you have any question, please feel free to contact us.